Elder care services are a specialty for us! Our unique home-based approach extends the effectiveness of care delivery into the home and successfully manages complex situations. Our approach includes the following essential elements: Looking beyond clinical care, providing self management tools, integrating care planning and more. We understand that choosing an aide to help with elder care services is a personal decision and can be intimidating. We would like to introduce our company and services by offering four hours of Private Duty Services. Our goal is to provide excellent elder home care and demonstrate how we can customize our care to your needs. We offer a complimentary, no-obligation demonstration of our Private Duty Services so that you can get to know us. Specialized Nursing Services provides an aide that will come to your home for four hours of care. 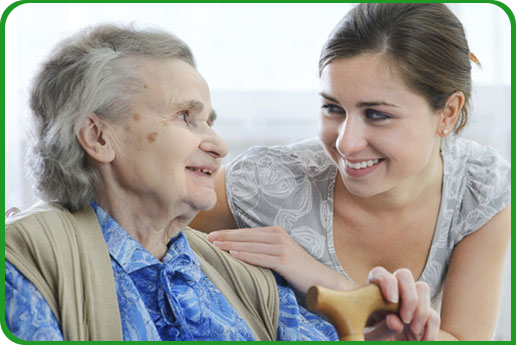 We offer a multitude of services to make sure that your loved one gets the care they need. This includes complimentary round-trip transportation. We will make sure that you or your loved one gets to their destination with no hassle. As we get older, the tasks of daily living also become more difficult. We can ignore the challenge until it becomes a crisis, or we can address the challenge head-on by hiring a home care aide. Home care aides are care professionals with specific training in supporting retirees and grandparents in their independence at home. Let our family at Specialized Nursing Services help your family protect the health, safety, and independence of your loved one. Even in private duty care, sometimes nothing short of a nurse will do. As a state-licensed home health agency, we are prepared to deliver even this level of skilled service in your home. This may be weekly set-up of your pill box, care for a surgical wound after surgery, help with home infusion equipment, etc. To make sure the full range of home healthcare service is available when you need it, choose Specialized Nursing Services. ©2019 Specialized Nursing Services Inc.